Current Snap offers: $0.75/1 Barilla Sauce, $1/1 Milk, $0.25 Bananas, $0.50/1 any Ground Beef + more! 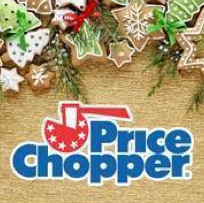 Boneless center Cut Pork Chops - $2.99 lb. Certified Angus Beef Bottom Round Roast - $4.49 lb. 31-40 ct. Large Raw Shrimp - $6.99 lb. Red Seedless Grapes - $2.99 lb. Red Peppers - $2.99 lb. Braeburn Apples - $1.49 lb. Anjou, Bosc, Red or Concorde Pears - $1.49 lb. PC Cooked Ham - $3.99 lb. PC Hard or Genoa Salami - $5.49 lb. PC Virginia Ham - $5.99 lb. PC German Bologna - $1.99 lb. Sara Lee Honey Maple Turkey Breast - $6.99 lb. Cake Boss Cake, Frosting, Sprinkles, etc.